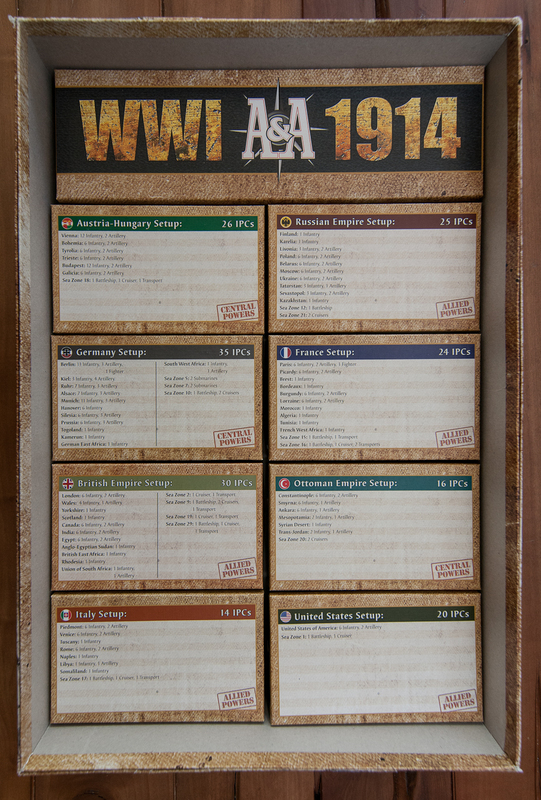 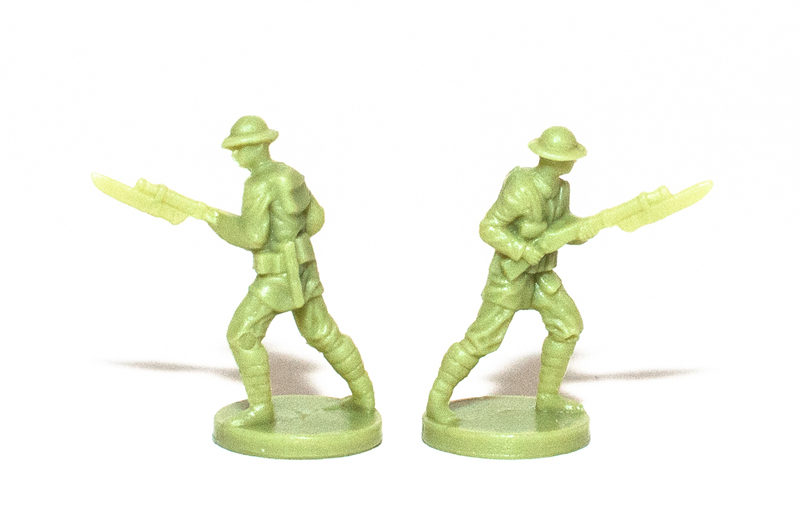 This preview of Axis & Allies WWI 1914 is all about the components of the game. 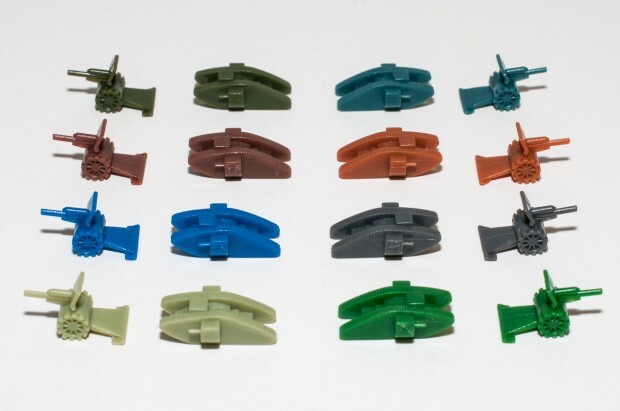 We have included photos of the map, the trays for the pieces, national control markers, the chip in each of the four colors, the small dice, and all of the units. 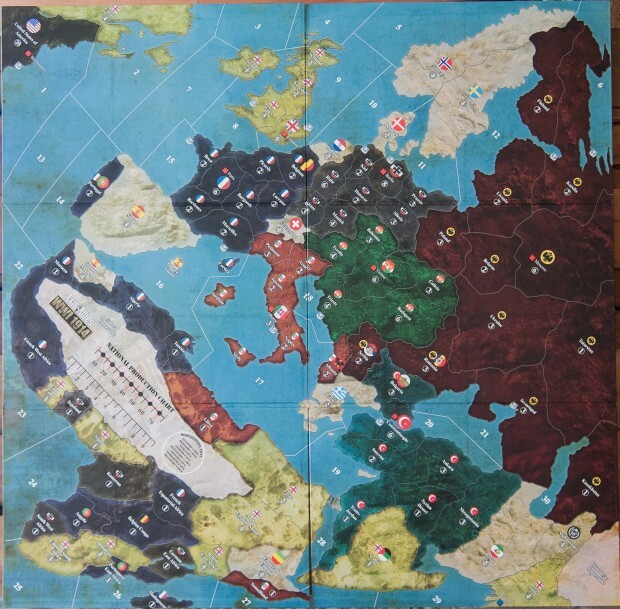 The map, pictured above, is 32.5″ x 32.25″ (82.6cm x 81.9cm). In the photo below, you can see that all of the trays fit nicely into the box. It looks really nice when you first open the game. 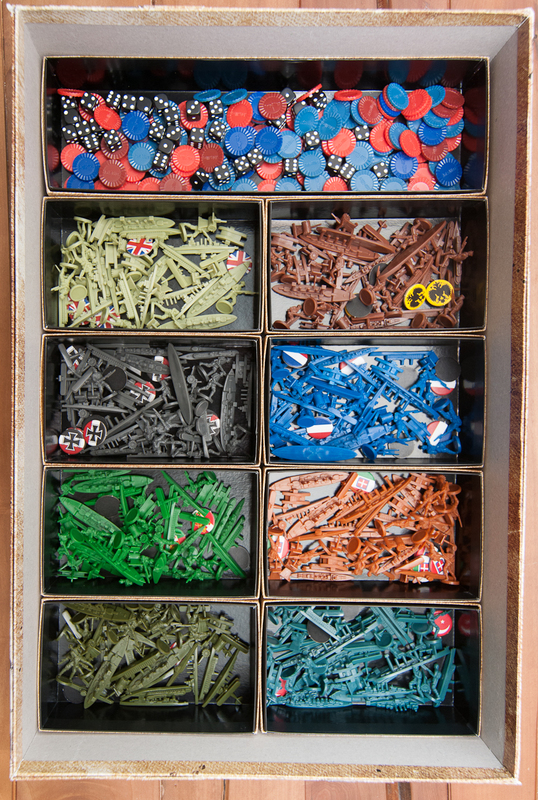 All of the trays fit nicely into the box. Axis & Allies 1914 comes with tons of the same style chips as 1942 Second Edition with the Axis & Allies logo printed on each one. 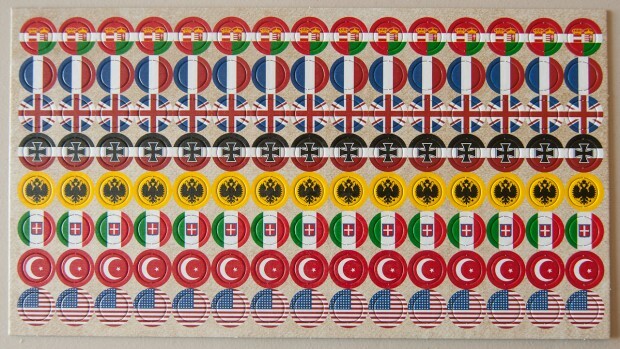 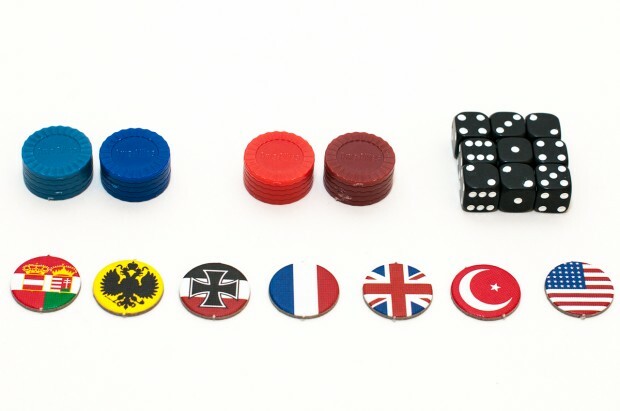 Using different colors for the Central Powers vs. the Allies is both important to the game and wonderful eye candy when viewing the game board. 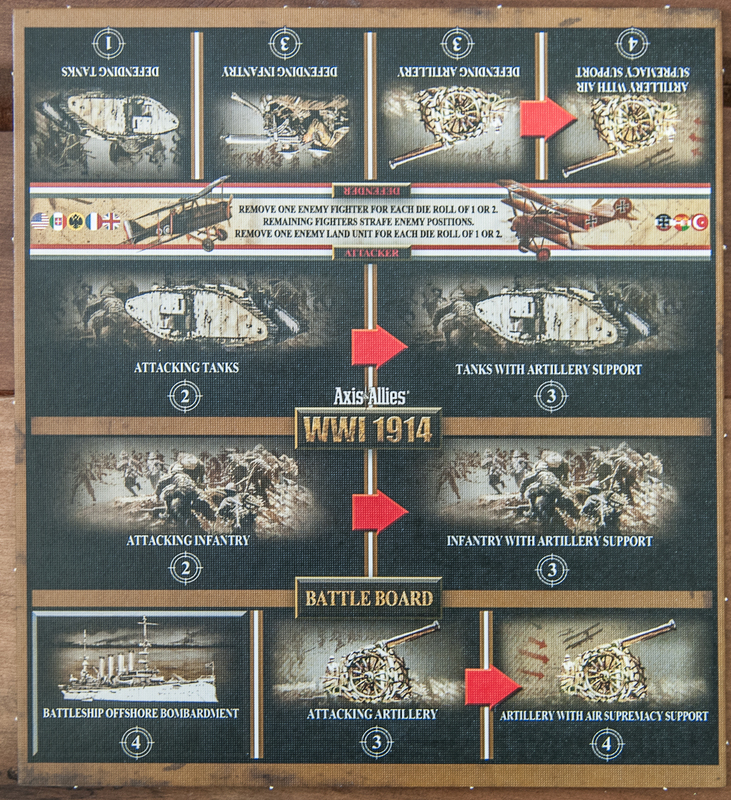 The battle board definitely comes in handy when you’re getting started with this new set of rules. After about 8 hours of playing, you’ll probably only use it for the really large battles. 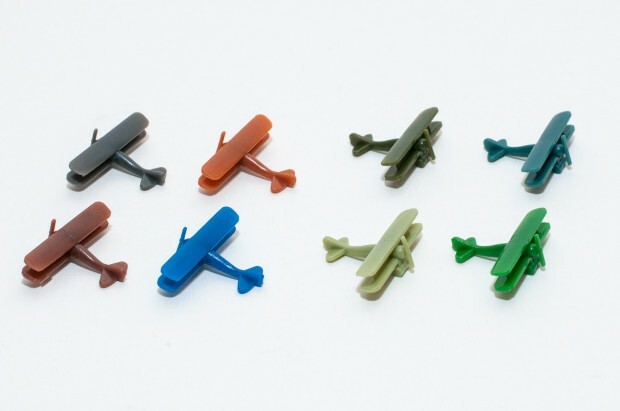 Below is a photo of the bi-plane fights from each of the major powers. The photo below shows all of the non-infantry ground units. 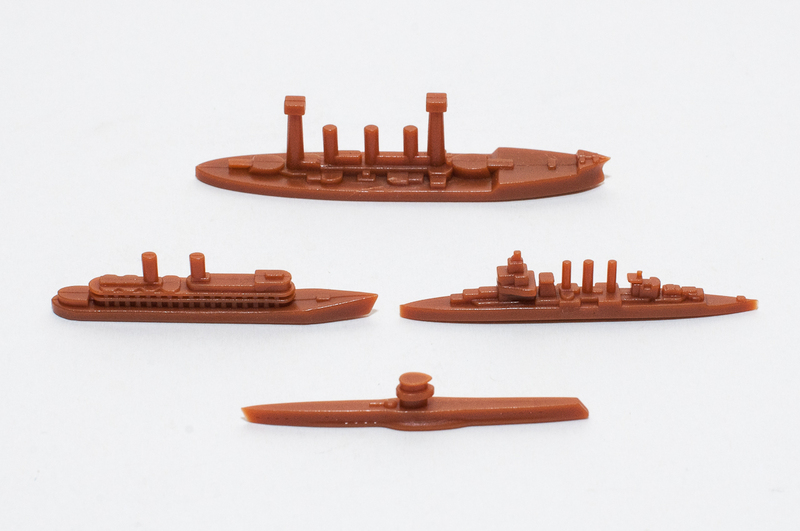 Just like fighters, tanks, and artillery, all of the naval units also have the same sculpts. 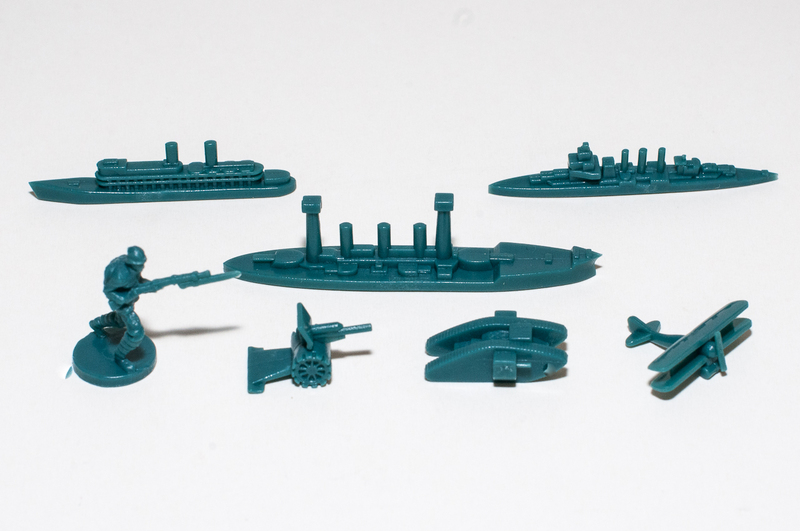 An example of the naval units are provided below. 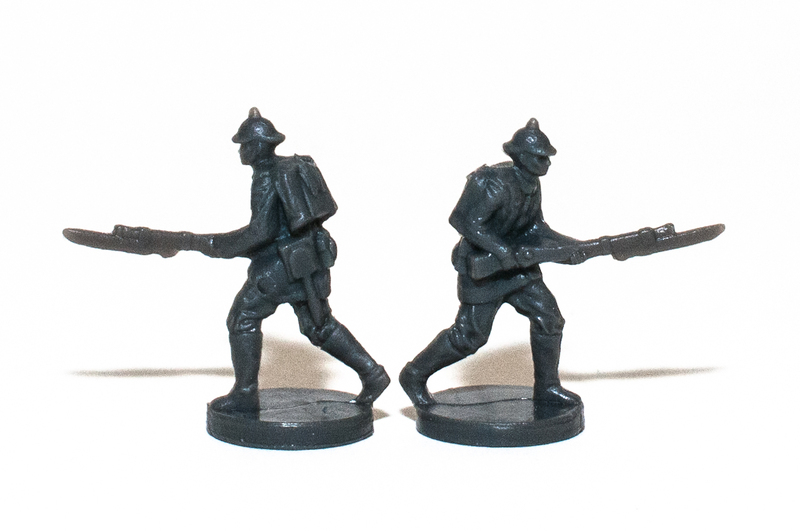 The eight photos below are close-up shots of infantry from each of the Axis & Allies 1914 major powers. 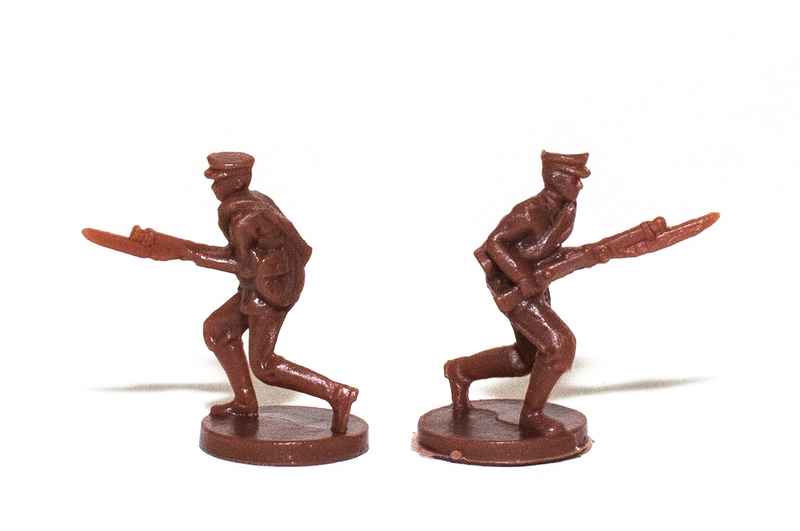 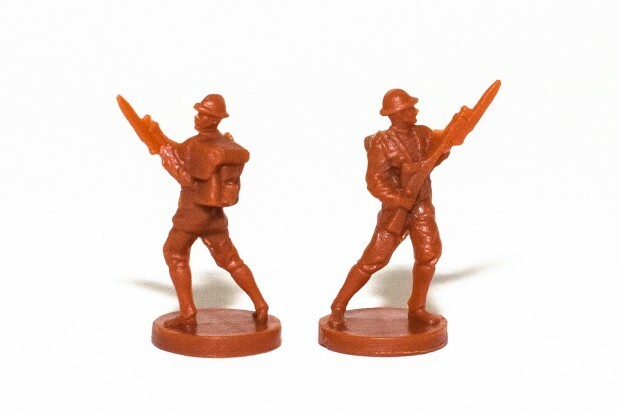 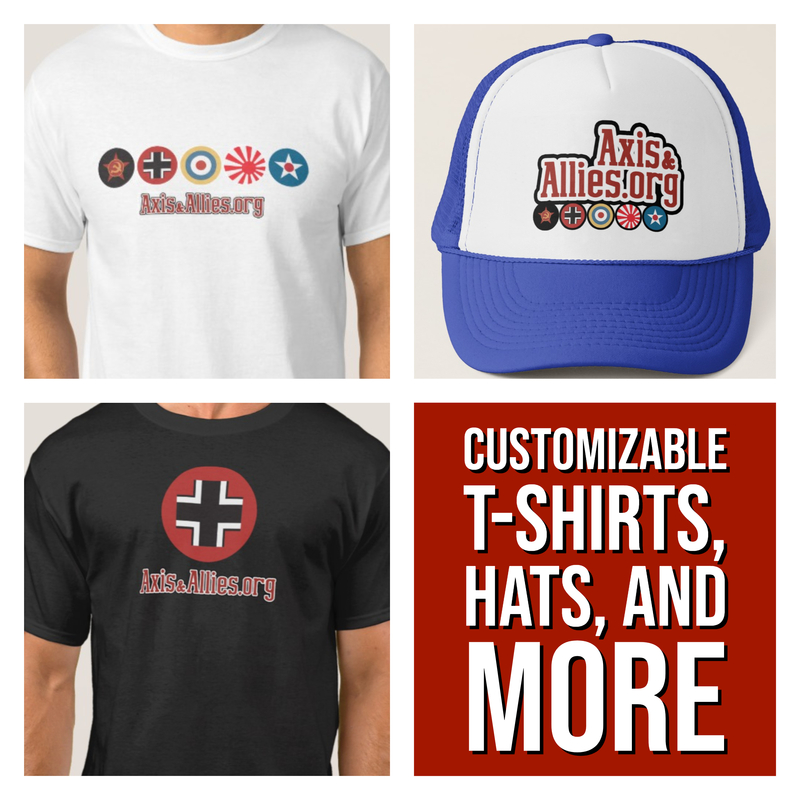 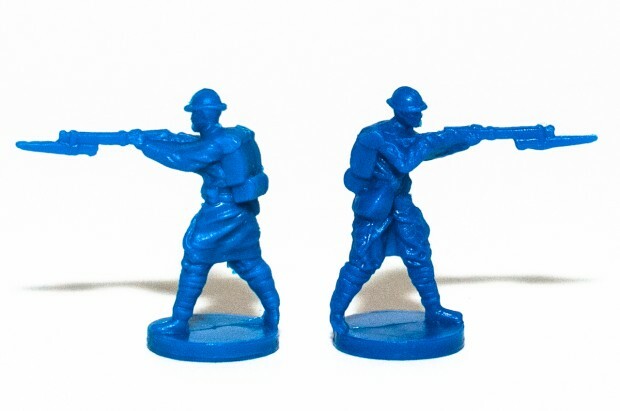 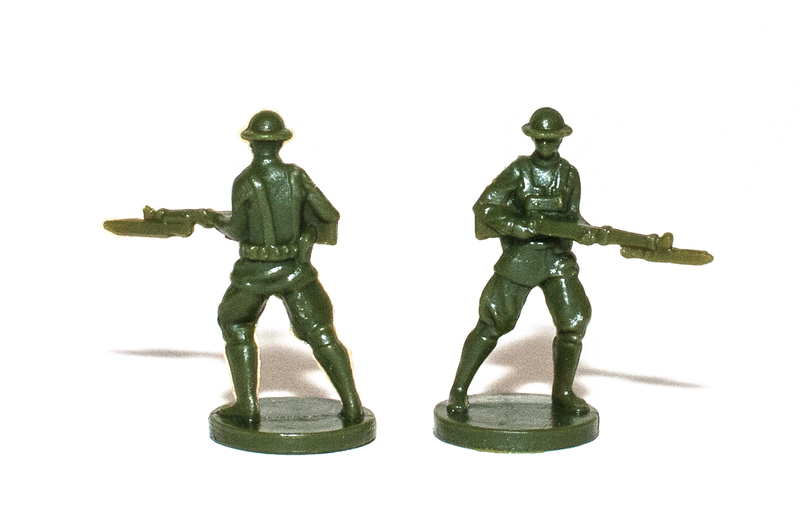 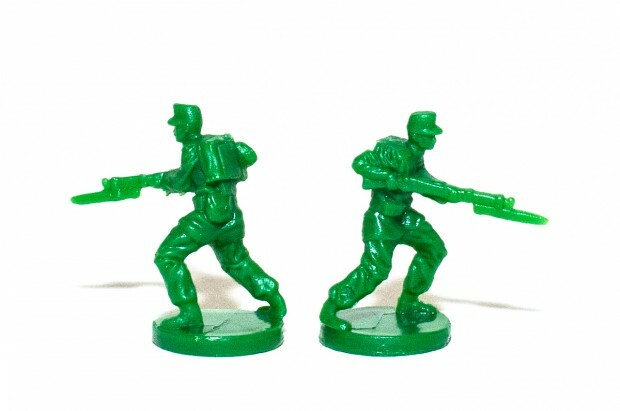 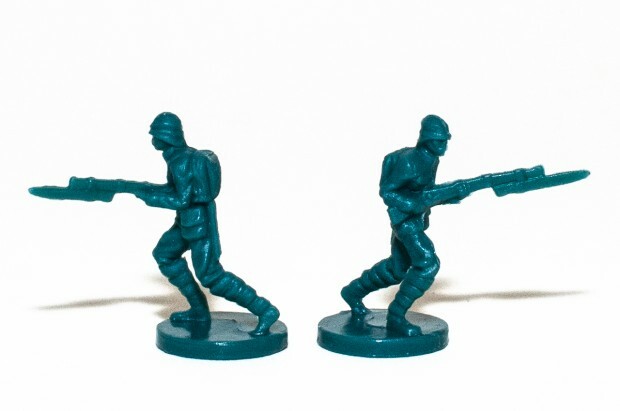 Infantry units are the same size as all previous versions of Axis & Allies. 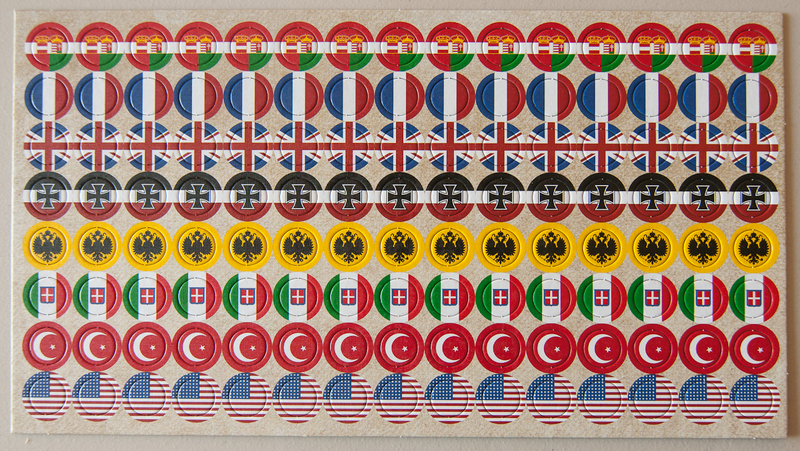 To get an idea of the relative scale of the units, the photo below shows all of the different types of units for the Ottoman Empire.